Avengers Infinity War DVD and digital release date revealed: When is Marvel movie out? Thanos is still rampaging across the universe and Marvel is still destroying all competition at the global box office. 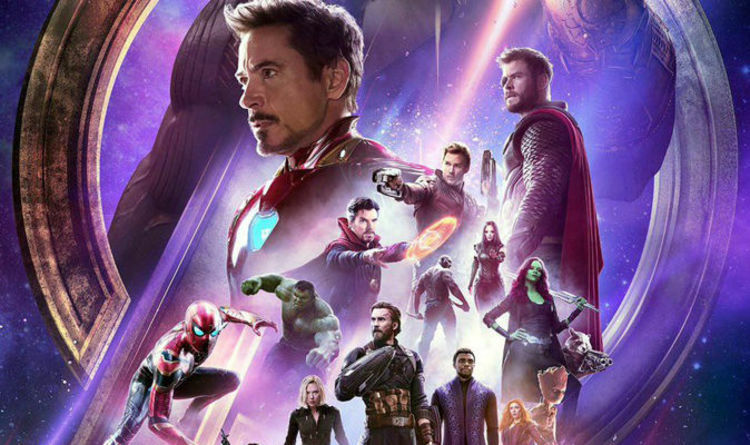 Avengers 3 has just passed $1.6billion worldwide, making it the fifth biggest film of all time. It will soon become the fourth biggest, since it is only a meagre $35,000 behind Jurassic World and will soon race past the dino-drama. These days movies can make as much or more money through home entertainment revenue and Infinity War will smash new records later this summer when it is released for fans to own. A major US movie website has leaked an August date for Infinity War. The Digital Bits has revealed that Disney and Marvel are looking at an August 14 release for the DVD and Blu-Ray. Typically, movies are released for digital download and streaming a week ahead of the physical formats. Black Panther, for example, was available digitally on May 8 through Digital HD and 4k Ultra HD. A week later it was be released on DVD and Blu-Ray on May 15. UK fans should note these are all US dates. Black Panther will be released on DVD and Blu-ray in the UK on June 11. There is no word yet on UK dates for Infinity War but it seems unlikely fans would have to wait a month longer than US fans. Avengers: Infinity War is already available to pre-order via Amazon, iTunes, Zavvi, Microsoft, HMW and other retailers – both 3D and 4K versions are available, as well as single disc and two disc special editions. The movie will also be available for digital streaming and download. Royal Wedding: Jilted at the altar? Remember these classic film scenes?